Canstruction Helps Fight Hunger Creatively – Now in NYC! This month, businesses and organizations in New York City are coming together to fight hunger through teamwork and artwork combined. Canstruction invites businesses, schools and organizations to create larger-than-life ‘sculptures’ using only canned goods. From the clever to the astounding, these sculptures are used to raise awareness about hunger in each local community where events take place. Afterward, the food is donated to local food banks, where it makes a huge impact. 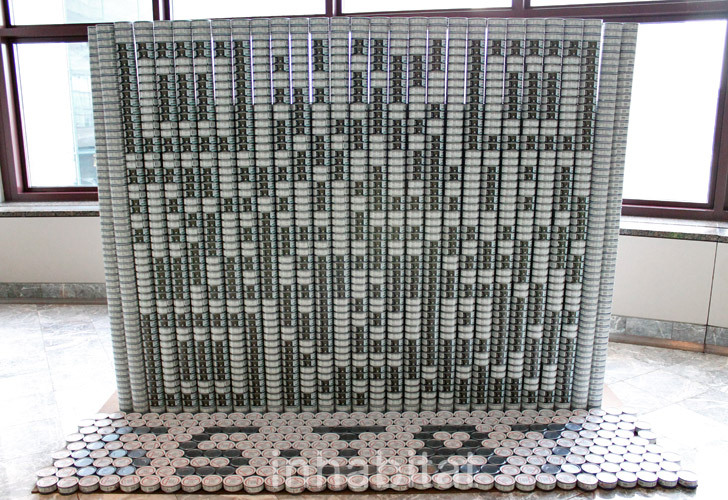 In 2010 alone, Canstruction participants raised over 2 million pounds of food, enough for 1.5 million meals. The sculpture is a larger-than-life QR code, which Smartphone users can scan on their phones. When scanned, the code will link users to Canstruction’s website where they can learn more or make a donation. If you’re in the NYC area, check out Canstruction NYC at the World Financial Center’s Winter Garden (220 Vesey St.) from 10 a.m. to 6 p.m. November 11-21. Visitors are invited to bring canned foods to donate to City Harvest, the event’s partnering food bank.